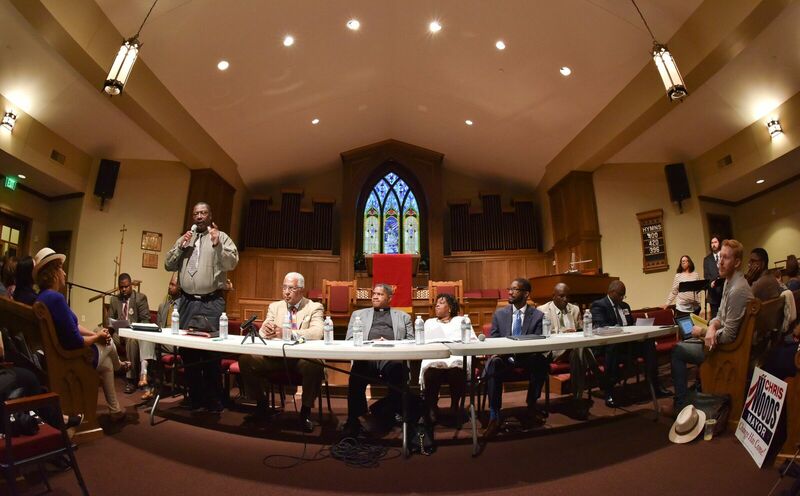 Incumbent Birmingham Mayor William Bell and eight other candidates seeking to replace him in the Aug. 22 municipal elections gathered Friday night at the Woodlawn United Methodist Church for a forum. 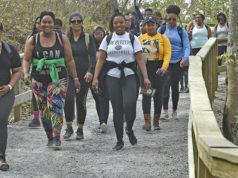 With all the pews occupied, a diverse group of residents could be seen standing in the back of the hall as the crowd spilled over onto the basketball court located in the rear of the large church auditorium. The debate was moderated by members of the online organization, I Believe in Birmingham; nine of the 12 candidates running for office participated in the event ­– Mayor Bell, Patricia Bell, Ronaldo Davis, Ervin Hill II, Brother Fernandez Sims, Lanny Jackson, Randall Woodfin, Frank Matthews and Chris Woods. Not present were Angela Hunter, Donald Lomax and Carl Jackson. The wide-ranging conversation remained largely civil, with candidates, for the most part, adhering to the allocated two-minute response time while they passed around four microphones that periodically cut out during the questions and answers. Some candidates, including Mayor Bell, opted to speak without a microphone. The mayor explained that his administration is determined to convert the Ramsay-McCormack building in Ensley into a new municipal court building that will also house the Birmingham Police Department as well as the Birmingham Fire Department. Woodfin questioned Bell’s proposed renovation of the building at a time when the Birmingham Public Library is in need of funding for repairs. “You got a library where the escalators and elevators don’t work…If you want to invest in Ensley, put $40 million into the whole neighborhood, not one building,” Woodfin said. Crime was another topic that came up. “We’re going to get these guns off the street,” said Lanny Jackson, during his opening remarks, a theme that he brought up multiple times. He said he didn’t believe Mayor Bell was “doing that bad” and unlike the other candidates who spoke, did not take an adversarial stance toward the current administration. 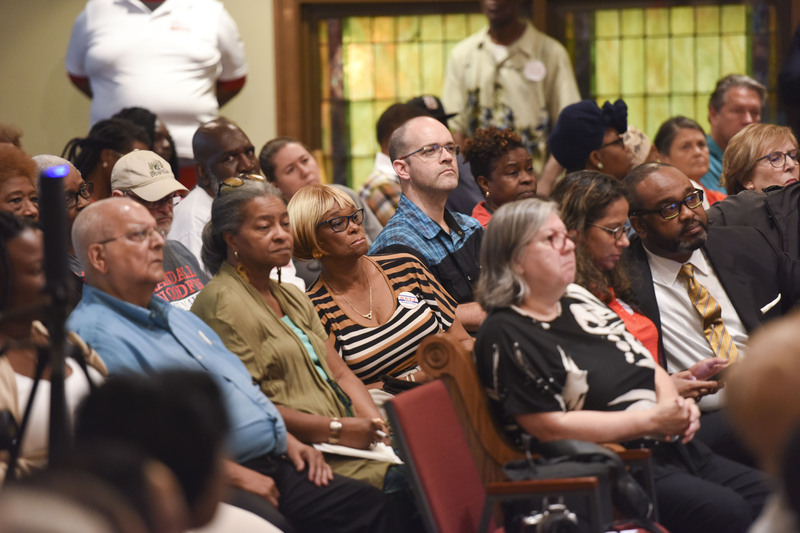 There was also discussion about the need for community policing in Birmingham’s 99 neighborhoods and how those efforts could potentially ease the pressure on the “understaffed” and “underfunded” Birmingham Police Department, according to several candidates. If elected, Woods said he would ask his officers to talk to 10 people a day in order to build trust between police and residents in the community. Woodfin said the city needs to do more for police officers and make available incentives for them to stay in Birmingham and foster relationships with people on their beat instead of transferring to other municipalities. 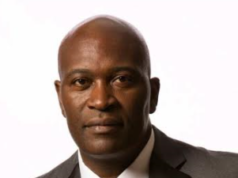 Sims said, “the violence at city hall needs to stop first,” referring to a 2015 incident in which Mayor Bell and Councilor Marcus Lundy got into a high-profile altercation within earshot of the council chambers during a meeting. “We have to bring a culture of respect and compassion in this city… We need a mayor from Kingston, who’s not afraid to walk in Gate City, who’s not afraid to walk in Ensley without a security detail. 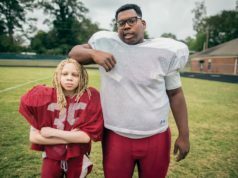 You can’t be [the mayor of] the third most dangerous city in the country and receive a Crime Stoppers award,” Sims said. 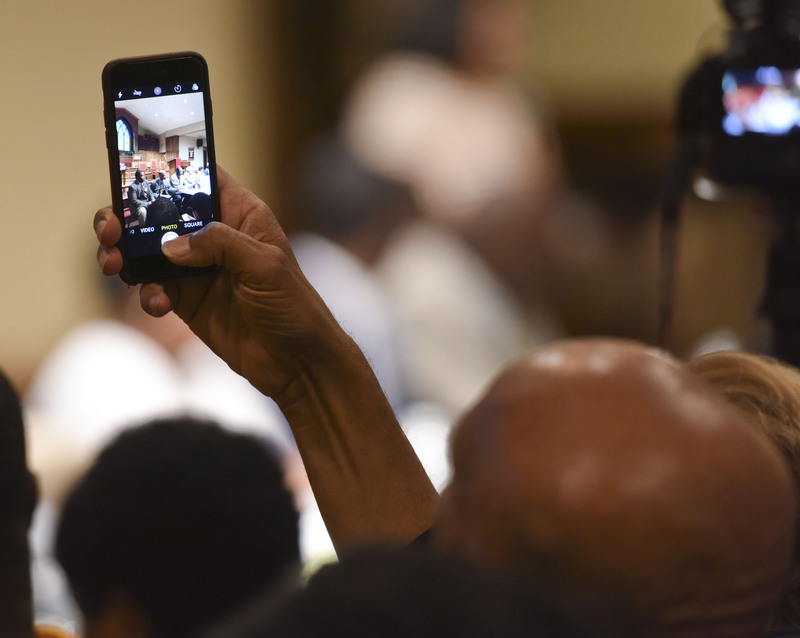 Next articleWhich Birmingham mayoral candidates benefitted most from Friday’s Forum?